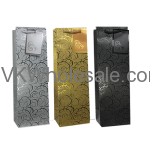 Good quality hologram wine gift bags for any occassion. - Design may vary compared to product pictures. 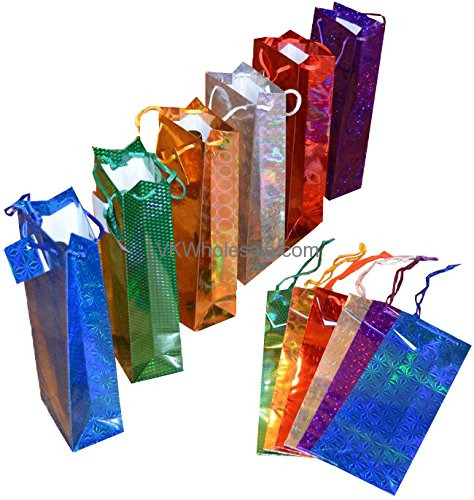 These hologram wine gift bags are standard bottle size bags that can be used year round for any kinds of occassion or events. Approximately : 4" x14" x 4.75"
Minimum quantity for "Everyday Wine Gift Bags 12 PC" is 1. Minimum quantity for "Wine Gift Bags Matt 12 PC" is 1.